I say this, then went and chipped them the day of this blog post (bloody typical) – but I suppose the key word there is chipped, now I’m no expert but generally I would have expected trapping your fingers in a filing cabinet to break the nails not just damage the polish. Because trust me, it felt like I’d broken a finger or five. Anyway, I’m putting my nails new super strength down to a few things I’ve started incorporate into my nail-care routine so thought I’d share them with you guys. 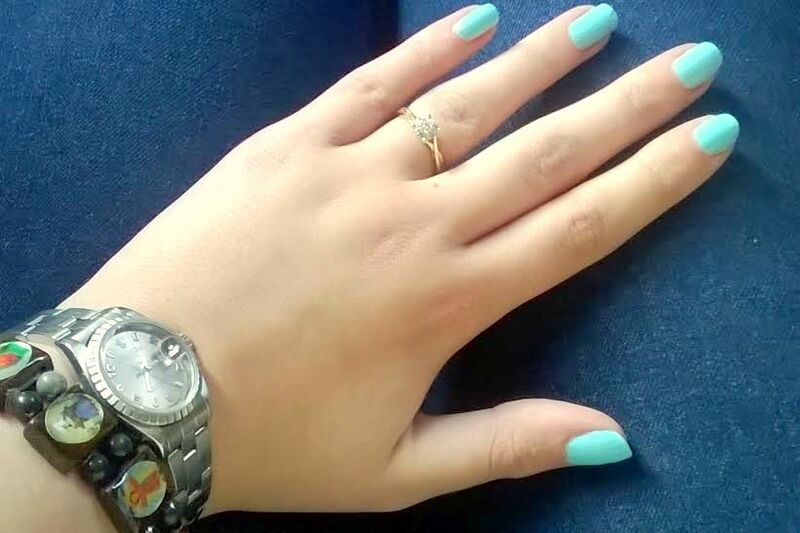 Because let’s face it, who doesn’t love having their talons on point? Normally when a product promises to change me in a week, I’m sceptical, then hopeful, and finally disappointed. I’ve never normally been a fan of base coats because, well to be honest, they seem like a bit of a faff. Even accidentally dying my natural nails a variety of colours couldn’t make be bothered with them. 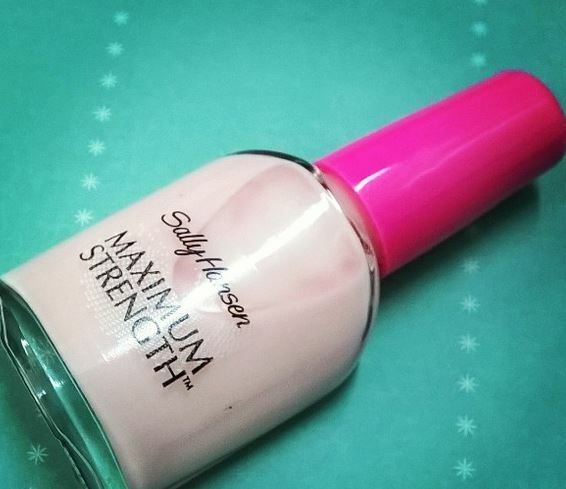 After trying this one though I’ve been converted; it doesn’t take long to dry but my nails now feel impossibly strong – and the actual polish lasts loads longer. Like anyone needs an excuse to eat more of this bad boy? (please say it’s not just me) beauty magazines, scientific magazines…basically all magazines have spouted how diary is needed for strong bones and nails. Those same magazines tell you that protein can make all the difference for nails and hair; apparently as nails are made out of protein adding extra to your diet can act as a (almost) instant top up. Diary and protein in one swift punch; what more could a gal want? Who knew eh? We all know they are full of little pretty antioxidants but did you know they can protect your nails (and ya know; the rest of you) from the effects of stress? Stress can be a major contributor to the state of your nails, but blueberries can help reverse some of the weakness/flakiness and protect your nails for next time. 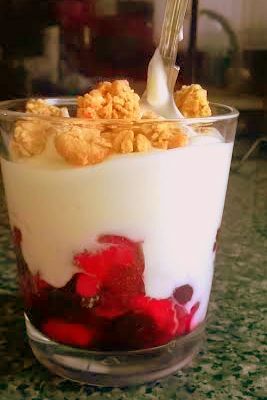 Add the blueberries (and other berries – no need to be boring) to the Greek yoghurt for your breakfast and that not only is it like heaven on a spoon; it’s also two birds with one stone. This photo was taken first thing in the morning, so please excuse it being a little off centre… apparently it takes an hour or two for me to wake up. Oops. Say wuuuut? I know, them little bottles are hard to give up, especially when you work in retail/health care/with the general public. If you do use them often, try to avoid getting it on your nails though as they dry nails out like nobody’s business. All soaps in truth act as devils when it comes to drying out things, but it shows mostly on your nails. If you can’t limit your use, try to apply it to your hands then use a wet something or other to give your nails a once over and remove most of it. By this I mean take care of all the edges of your nails – though feel free to overhaul your look to be a bit more punky if you feel like it. Anyway, try to file your nails regularly (it also makes been on hold to call centres a lot more productive) and always file the nail in the same direction, when the nail is completely dry. Filing damp nails can do more harm than good. While still thinking about edges, keep your cuticles in good condition with a natural moisturiser. Also never, ever cut them… I know some cheap manicurists will try and cut you sneakily but cuticles are so important to healthy nails. Plus cutting them provides an entry point for infections: nasty. Now I’ve come to the end of this blog post, I’m a bit worried I would have jinxed myself. If I break all my nails tomorrow; I’m blaming you.